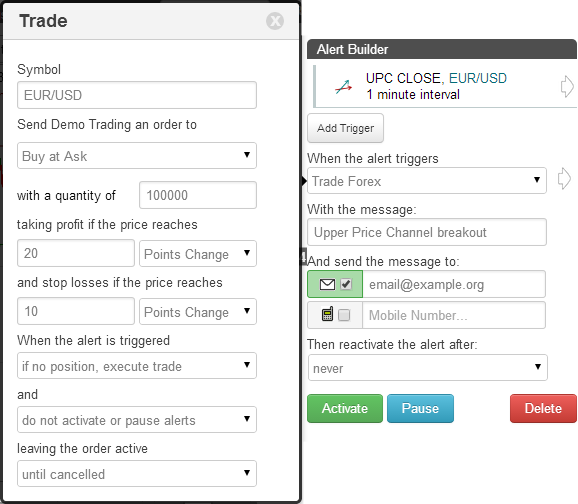 On the TimeToTrade charts, a Aroon indicator can then be used to execute trades, provide an Email or SMS text message notification when your candlestick chart patterns have been met or backtest a trading strategy. The Price Channel Indicator consists of two lines, called the Lower Price Channel and Upper Price Channel, which provide an indication of potential areas of support and resistance. The Upper Price Channel indicator represents the Highest High and the Lower Price Channel represents the Lowest Low over a selected number of intervals. The distance between the Upper and Lower Price Channels can also be used to determine the trading range for the selected intervals. Unlike indicators such as the Bollinger Bands or Average True Range, the Price Channels are based on the absolute difference between the Lowest Low and Highest High, therefore they tend to be associated with potential areas of support or resistance. However like Bollinger Bands or Average True Range, the Price Channels tend to narrow during periods of sideways trading and price consolidation, typically before a breakout. Learn more about the Price Channel indicator. Rising Threshold Alert Trigger, is triggered when the value of the Price Channel rises above a specified value. 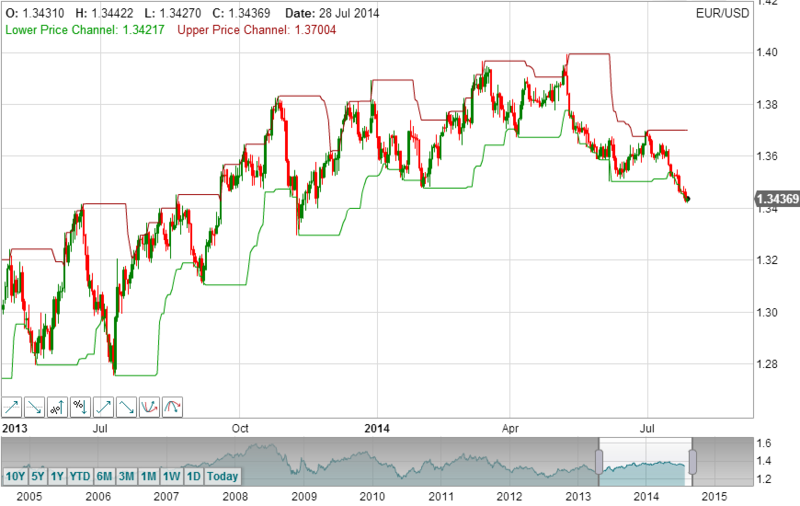 Falling Threshold Alert Trigger, is triggered when the value of the Price Channel falls below a specified value. Break-Out Alert Trigger, is triggered when the Price Channel increases by a specified value within a the selected interval period. 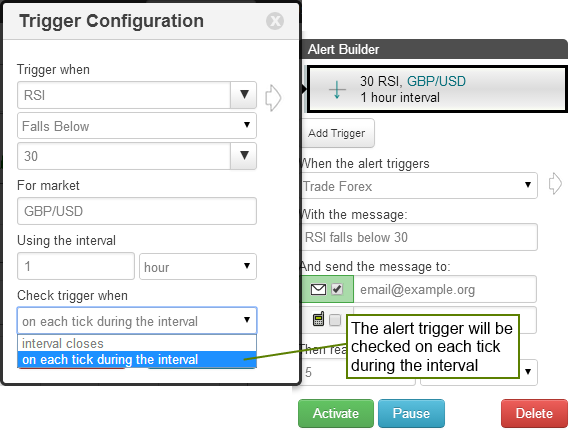 Pull-Back Alert Trigger, is triggered when the Price Channel decreases by a specified value within a the selected interval period. 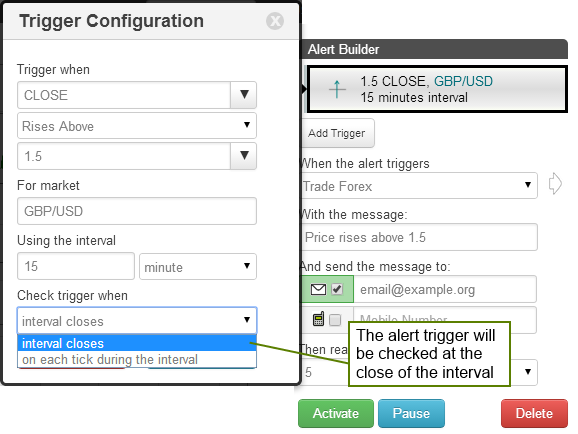 Percentage Break-out Alert Trigger, is triggered when the Price Channel increases by a specified value within a the selected interval period. Percentage Pull-back Alert Trigger, is triggered when the Price Channel decreases by a specified percentage within a the selected interval period. 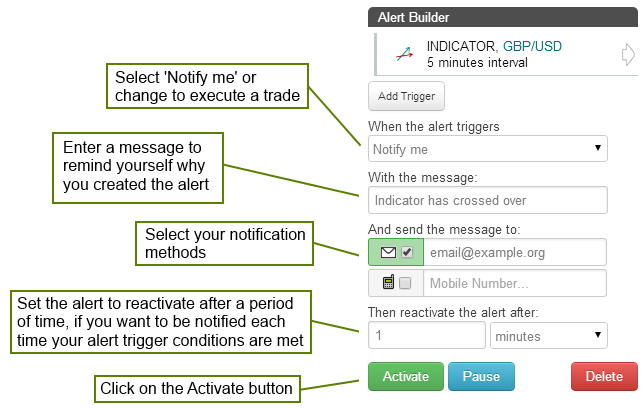 Above Alert Trigger, is triggered when the Price Channel is above a specified value. 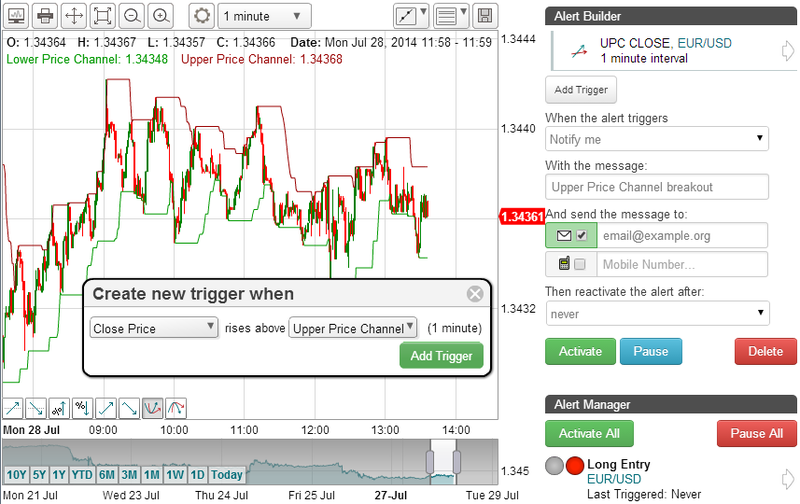 Below Alert Trigger, is triggered when the Price Channel is below a specified value. Positive Crossover Alert Trigger, is triggered when the Price Channel rises above / crosses over another indicator, price, a specified value or trend line that you have drawn on the chart. Negative Crossover Alert Trigger, is triggered when the Price Channel falls below / crosses under another indicator, price, a specified value or trend line that you have drawn on the chart.